We mistakenly believe that relationships that are difficult are not worthy of our attention or time. Or worse, we obsess over what to do but do nothing but think it over, and over and over. And at some point leaving a relationship may be the wisest decision. But leaving prematurely means you might miss an opportunity to really grow and gain essential wisdom. My suggestion is first to surrender to the difficult relationship. Because it let's you know what you really want, and own it. 1. Identify why you began the relationship. Be clear and precise about what you were seeking in it. 2. Assess what you want from it now. Be clear and be precise. 3. Ask for what you want. Be clear in your communication. If you are clear in yourself, you will be clear in your communication. If you are not clear in yourself, go back to step 2. 4. Get an answer from the "other" about whether they are willing or interested to have and give, what it is you want to receive and offer, in this relay-tionship. Remember it's about both of you, it's about a back and forth. The dynamics change when BOTH people want change. 5. When the relationship is causing difficult feelings to come up for you, take time to know what the feelings are and what your expectations behind the feelings are. 6. Do your shadow work! When you are bothered by a quality in someone, ask yourself "how does this quality live in me?" 7. Trust your heart to move through the process honestly and authentically. Without authenticity you suffer and others do too. What you want matters. If you don't claim it forthrightly, it often goes underground and makes life messy. It's courageous to own what you want. What stops you from saying what you want in a relationship? Share that right here and we can support you to grow in any difficult relationship you are experiencing. I was sitting in the small sunroom on the back of our 1960s ranch this past month. The sun was warm, but the snow had piled up above the seats of our backyard furniture, and I was reminded sadly that the sights and sounds of summer were still far away. I took a breath and looked around the snow-covered yard. I was surprised by what sounded like the chirping of a bird. I couldn't see the little creature and almost couldn't believe my ears, but he or she was definitely there, sharing a short, familiar song. In that moment, the power of listening was palpable. It delivered an unexpected gift on that cold winter day, like it does almost every time I am reminded to truly listen. From the time we are infants, we are taught to talk, to form words and speak up for ourselves. However, I can't remember ever being taught to listen. We're instructed not to speak out of turn and not to speak too loudly. During dinners out when our daughters were little, we coined the phrase, "Use your restaurant voice" to help them remember their manners. I think of myself as a good mother, specifically because my daughters have grown up to be kind, smart, funny and engaging. However, I look back and realize I taught them how to "be quiet" when appropriate, but I never taught them how to listen. Perhaps that is because I wasn't taught about the importance of truly listening until I was in my forties. Listening is, perhaps, the most important thing we can ever teach. It is medicine, pure and simple. I learned this through a women's center in Milford, Massachusetts, starting in 1999. I continue to share the magic of this message today with women in Maine at an organization called Authentic Women Circle, which is the legacy of that Massachusetts group. There is so much noise in our world today capable of drowning out the sound of one human voice. The exchanges on television, radio and online are rushed and filled with cross talk like never before. The media "experts" give advice and their perspective on every topic imaginable. Everyone is talking and few actually pay attention. Sometimes it appears that the only people who listen are those who are paid to do so. 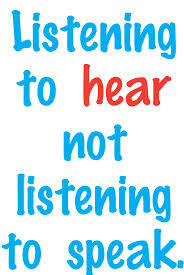 The art of listening, true listening with rapt attention and an open heart, is in danger of extinction. I come from a long lineage of talkers. Sometimes it appeared that he or she who spoke loudest in my family must be the smartest. Cross talk at family gatherings was an Olympic sport. If you could be the last talker standing, then your point must be truth. My father was a charismatic orator, giving sales pitches, business keynotes and team-inspiring pep talks that won him loyal followers. However, as I got older, I realized that his true genius was in listening at key moments, like when I had a disagreement with a friend at school or when I struggled with the news from my obstetrician that my baby might have a birth defect. Even as he carefully consumed the news that my sister was dying, he didn't try to fix anything; he simply asked clarifying questions and listened completely to the answers. Through the lens of my more recent experience, I now think that perhaps it wasn't his words that earned him fans in family affairs and business, but rather his ability to sit and listen without interruption when there was a challenge or issue at hand. When he listened, he really listened. In hopes that you can capture the magic in your own life, I offer you here a short introduction to the art of listening. While these points seem so simple, I ask you to observe yourself and those around you to see how often they are employed and how embracing them makes a huge difference in communication, relationships and stress levels. Complete listening requires that one person speak at a time. Simple enough, right? Do a little exercise over the next 24 hours and watch (or listen) to how many times people are talking at the same time as each other. We so want to agree with a friend that we finish her sentence. We want our colleague to know we understand what he is explaining so we interrupt with, "I totally agree." We want a child to correct an action, so before he or she completes another sentence, we offer, "Eh, eh, eh, let's try to do it this way." I'm guilty of all of these at one time or another. Sounds harmless, right? We have good intentions. We mean no harm. We politely offer our thought or correction. Yet, every time we cut someone off, interrupt their thought, we are saying that our thoughts and words are more valid than what they have to say. True listening doesn't anticipate the next word. It is patient. True listening allows the speaker to totally complete the thought before commenting or answering. 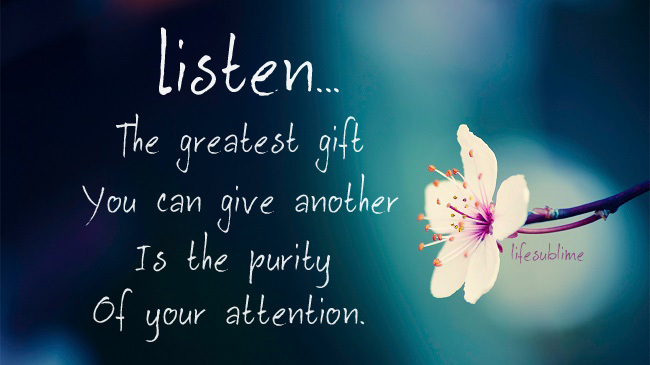 True listening requires that we pay complete attention. We think we are super human and we can peel a potato, send a text or wash the car while completely listening. It's virtually impossible. We can multi-task, for sure, and in today's world moving at its extraordinary pace, we may think that we have to, but we will not be doing any of the tasks fully. When someone is communicating something they feel is important, we need to put down the phone, shut off the computer, stop dicing the onion and completely listen. What a gift we give another person when we do this. This very act of focusing on the speaker makes him or her feel worthy. It's magical what real listening can do. The art of listening also requires that we allow the speaker to own the story. We've been taught to commiserate, empathize, agree. "I had that happen to me. I know how you feel. Here's what I did." However, none of us share the exact same experience. None of us has actually experienced that person's situation in the exact same way they did. The magic of listening happens when we pay complete attention and let the speaker know we are there for them. We let them speak. This is hard for me even now, after years of understanding the benefits of true listening. I've been trained since I was young to offer help, empathy, kindness. I want the other person to know they are not alone. Yet, the most powerful exchanges come from showing your concern by asking the speaker a question. "How do you think you might proceed?" or "What would you like to happen next?" When you ask a gentle question like this, you show the speaker that she has the answers. You help validate her feelings and let her know that she is worthy. As I write this, I can think of several times recently when I have not followed these guidelines when communicating with a family member or client and, in hindsight, the communication could have been more successful if I had. We are so trained to share our opinion, give advice, jump in to agree. As a result, this simple, yet powerful prescription for the art of listening is often forgotten. I believe the importance of complete listening is one of the most important lessons I have learned (and continue to learn) in my life. It changes everything. When you truly listen, it takes away the burden of always having to have the answer. We don't have the answer for another person. We never will. Only they have the answer. By offering questions, you show that you have been listening and that you want to help. That is enough. Complete listening also gives the speaker the power to find the right answer. Our listening and questioning helps to assure the speaker that he or she is valuable, smart and can find the answer that will work for them. By emptying your mind of your own thoughts and distractions, you open yourself to truly connecting with the speaker on a different level. I find that when I really do this, and give myself over to being totally present with the speaker, it is not only a gift for him or her; it is a gift for me. What a pleasure to receive their thoughts without trying to change them, analyze them or create an answer. The exchange is just a little bit like having all of the sounds around wash over us, and then experiencing the unexpected. 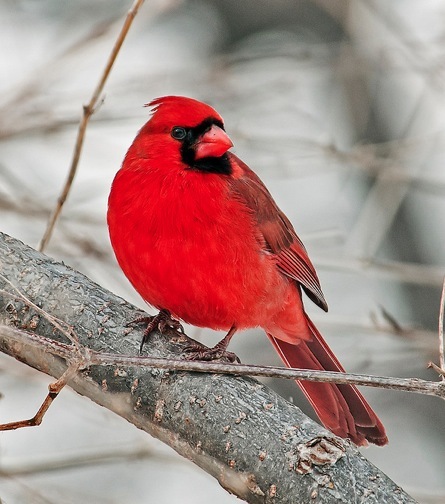 The sweet song of that little winter bird. True listening makes magic happen. What you don't deal with in life comes to visit at the end of life. NOTE - What you DO deal with frees you to live wholly, honestly in this life. When my dad passed last month, I became acutely aware of the gifts of dealing directly with old hurts, forgiving and letting go. My healing journey began 26 years ago. I spent many hours in self-reflection and in healing spaces with loving support that helped me grow into the strong and clear woman I am today. I worked hard and made a very deep commitment to myself to heal all that I can in this lifetime. I continue that commitment. It no longer feels like work, it feels like loving service to myself and others. I felt very disappointed and frustrated with my relationship with my father for a long time. With persistence and the right kind of help, I came to accept my father for who he was and allowed him to be just that without internally anguishing about what I didn't care for. I also came to know who I am, allowing myself to be all of Me! My dad loved me in his way. I wanted more intimacy and connection in my relationships than I experienced with him. I want to feel known and heard and understood. 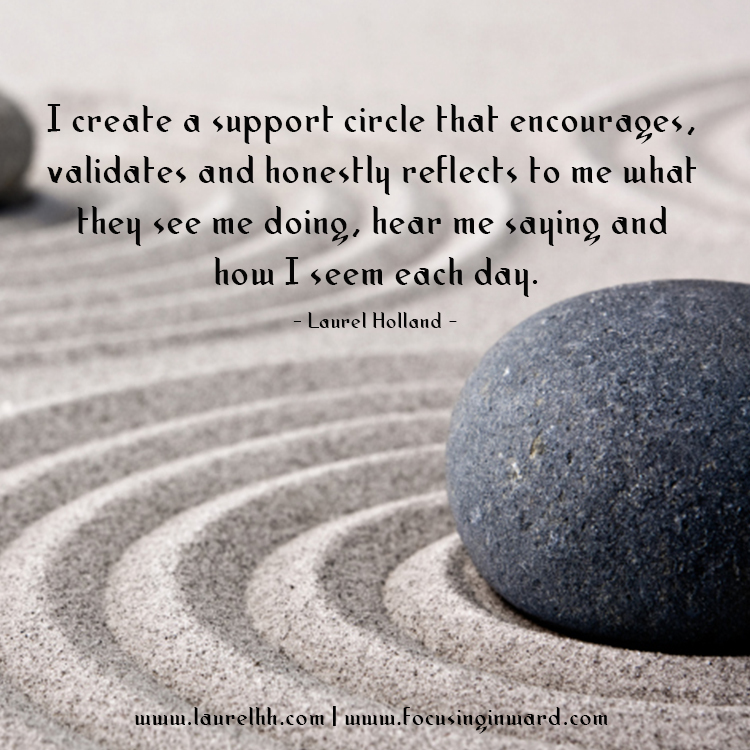 In time I gathered a beautiful support circle (that grows and changes with life changes) that nurtured me into a true sense of wholeness. These people know me, understand me and listen well to me. They are my chosen tribe. I let go of the need to have a quality of relationship with my Dad that I had wanted but couldn't cultivate without him wanting those same things. I let it be. My gift was that I experienced wonderful love and support from others, and also found peace inside to let my Dad be who he was - less able to navigate and cultivate intimate relationships. During his last week of life I held space from afar. My youngest sister and dear niece, who is a nurse, tended him at his bedside. I sent loving prayers and attention and intention for him to have the end of life experience that he desired. I lit candles and created an altar that I could look at, reminding me to send peace and love their way consistently. This allowed me to feel like I was participating in a valuable way. I checked in with myself daily to make sure I didn't "need" to head north to see him one more time. I made sure he was asked if he wanted me there. He said,"Laurel knows". We were at peace with one another. We were at peace with one another because I wanted nothing less than peace and dedicated myself to the cause. I believe he wanted the same. So it was. But in order to get to that peace I needed to feel all the other heavier feelings that came earlier in life with the disappointment and lack of connection. I needed to cry those tears of loss, say what I wanted to him, voice the disappointment and then, Let it Be, release. And in doing that I opened a space within to become peaceful. I gained freedom from the old relationship of little girl and emotionally unavailable father. The relationship became spiritual seeker and spiritual seeker. I could tell him what I thought and not hold back. And that felt good because I like to think (I hope this is true) that I did so compassionately, boldly and clearly. I have my thoughts, opinions and path to walk Dad, and I am doing it. Sadly, others in my family have not walked this healing path. My Dad did not know how to navigate that space with them and lead them along. The end of my Dad's life brought drama in this circle. Because at the end of life, what wasn't dealt with in life comes to visit. I am saddened by these new family dynamics, but I accept that this is the consequence of not doing the work while we are alive and able to make that conscious choice to create more healed, harmonious and loving relationships. 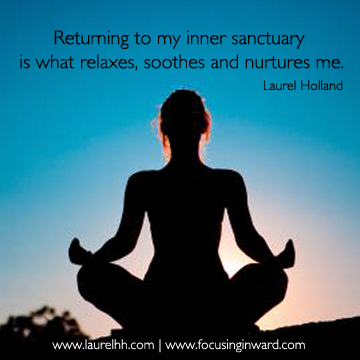 We all have the opportunity to seek inner peace and healing. When we take that opportunity and run with it, everyone around us is served. We contribute to global harmony in our most powerful way. By creating it internally and in all the relationships we engage in as best we can. 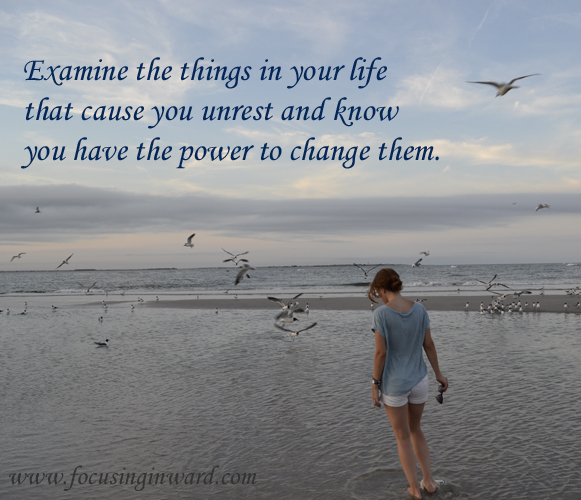 What have you been avoiding, what creates conflict for you inside? Now is the time to learn to navigate those difficult waters, while you have time to create the peace you desire. With birth (a new granddaughter!) and death (my Dad's passing) knocking at my door this month, my natural inclination is to become pensive. I draw inward and notice how I am feeling, what is happening inwardly for me as big life events jiggle my consciousness and emotions stream through my being. During the last week of my Dad's life, in the early hours before dawn, I was contemplating my Dad's life and my life with him, allowing a spontaneous life review to flow through my mind. Flashes of insight flowed throughout the review. Suddenly I saw life as a koan. What is a koan? Here is the definition I like from the internet "Koan : a paradox to be meditated upon that is used to train Zen Buddhist monks to abandon ultimate dependence on reason and to force them into gaining sudden intuitive enlightenment." Notice that one must abandon mental activity, at least momentarily, in order for the enlightening moment to emerge. I thought about feeling emotionally disconnected from my Dad early in life and the impact it had on me. Paradoxically, we made our way to a sense of emotional and mental peace, a true closeness with one another through our journey of simply being ourselves with one another - accepting all that this means. Suddenly I saw life as a journey that you can't know about ahead of time. You must surrender and live it fully to experience the truth of its meaning for you. Being ever true to Self leads to reaping the rewards. I thought about my Dad's dedication to living with spiritual awareness, and his clear desire to support others on the journey into this awareness. Paradoxically, at times he could alienate those of us closest to him. He had a way of speaking at us about this truth that we must discover, and how to get about the business of doing this. That didn't feel spiritually aware, it felt bossy. At the end of his life, he was a demonstration of remaining ever-constant to his beliefs about the body simply housing his personal consciousness that will indeed make its transition onward one day. He lived a very conscious end of life process, very aware and very clear about his desire to be present to the entirety of it. I grew to feel even closer to him as he prepared to leave this reality. I thought about my family dynamics and the lessons I learned by living through, and also by leaving behind, the dynamics I no longer wished to perpetuate. 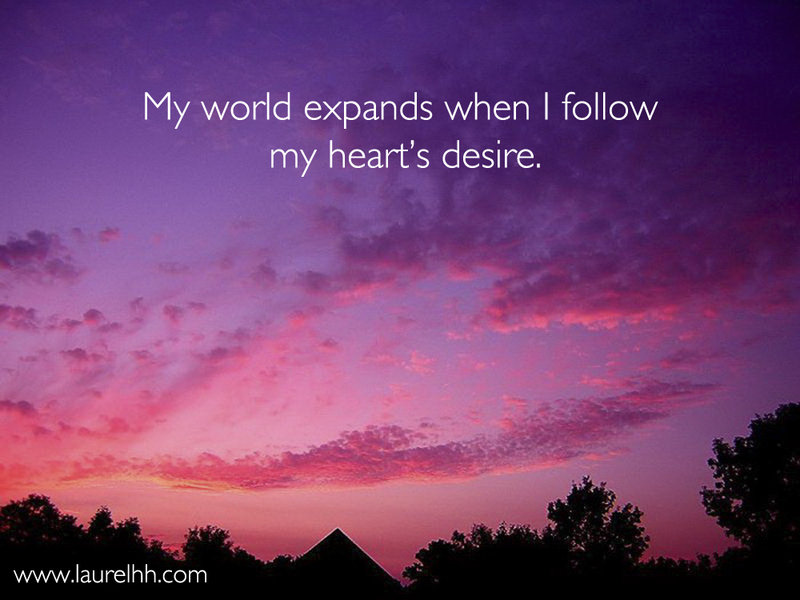 My determination to live a clear and consciously directed life set my course onto a path of deep healing. I remain grateful for the challenges of ending old patterns, of leaning into being forgiving and open-hearted. It is often through overcoming personal inner difficulty that we grow to become our strongest and wisest self, able to serve the world in the best of ways. Paradoxically, those difficult dynamics, when worked with consciously, become a gift. They are the fire that burns away the clouded conditions that keep us from seeing our own inner truth. With this kind of consciousness we may launch into our best life. 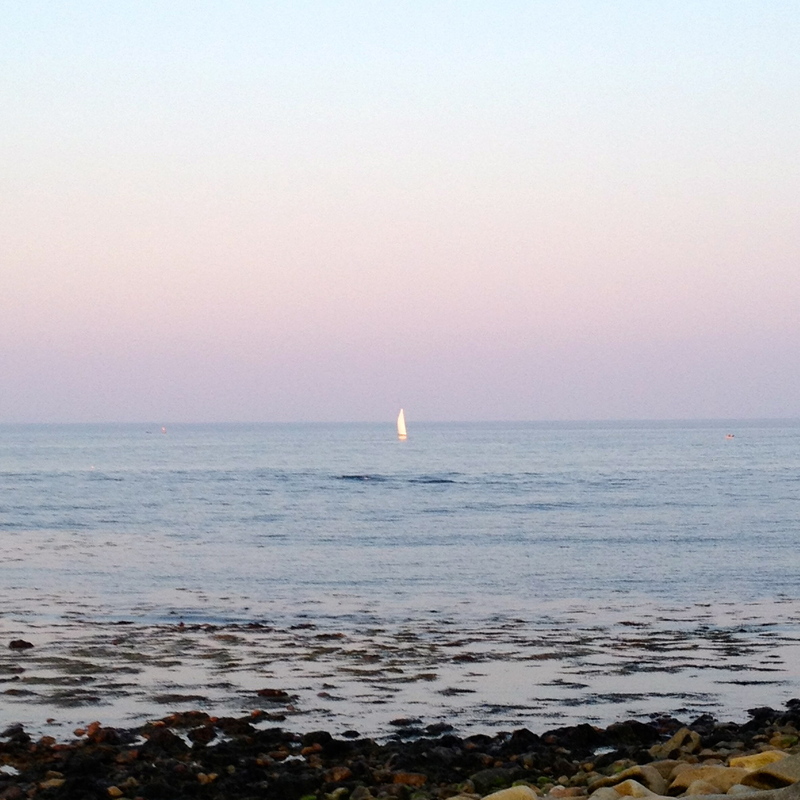 Life as a koan - a thought that brought comfort and then clarity in many ways. Suddenly I want to consider everyone's life, and presence in my life, as a koan. Each life a paradox that I can meditate upon, to sit with in wonderment, in curiosity about the purpose, the meaning of it all. And in that wondering, in that spacious holding lightly for review, perhaps I will be gifted again and again with these little enlightments, with the release of reason, opening me to the greater gifts of intuitive insight and deep personal peace.